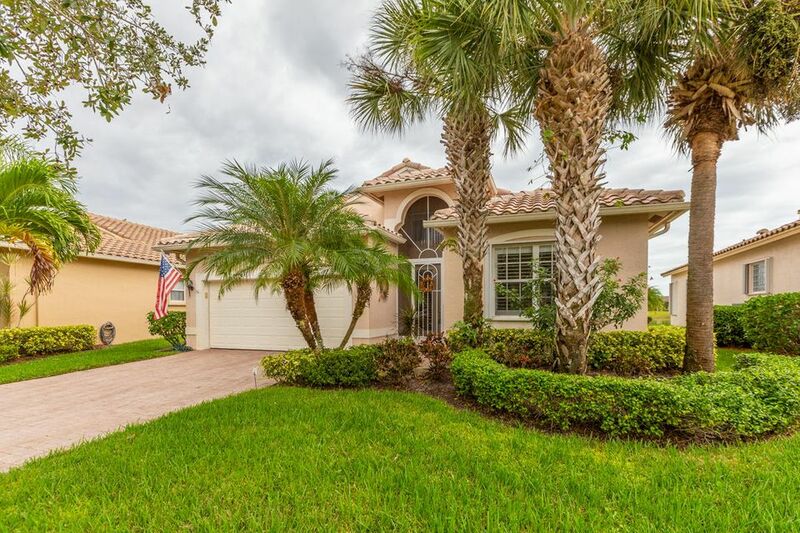 378 NW Sunview Way is a beautifully kept 3 bedroom, 2 bathroom home located in a 55+ community in St. Lucie West. Plantation shutters and vaulted ceilings are throughout this open floor plan home. A breakfast bar and small dining room seating is located in the spacious kitchen. The extended patio overlooks the lake and is excellent for entertaining. In addition, this move-in ready home is located in a community with full ammenities including golf, a resort style pool, and so much more.